They're an essential tool of the seeker and the problem-solver, and in our personal and professional lives, they can make the difference between getting what we want and going without. Questions have power-and by harnessing that power, we can change our world. 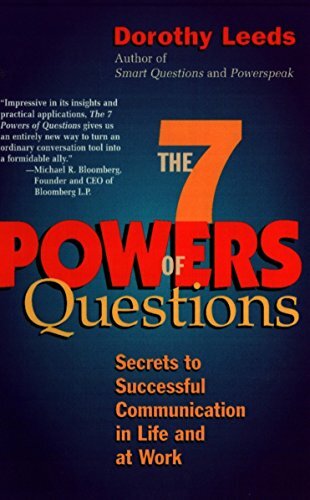 This unique book reveals the seven powers of questions-and shows how to use them most effectively. Learn how questions can improve relationships, help determine what people really want, uncover opportunities, persuade others, and get more out of every business or personal encounter.